UrbanClap finds you best home tutors in Ahmedabad, who can help your child understand the subject in a better way and use new methodologies to boost the learning interest. We are committed to connecting you with experienced home tutors in Ahmedabad who are best in the industry. Our best home tutors in Ahmedabad are available at your convenient time and location. We, at UrbanClap provide you with all the information required to take the right decision and we ensure that best home tuitions in Ahmedabad are delivered to your child. UrbanClap finds you the best home tutors in Ahmedabad. Service excellence! Punctual. Professional. Established repoir. Success. she is good teacher.she knows how to deal with child. What is home tutoring? How can one excel in studies as well as other activities? How is home tutoring beneficial? How to find a better home tutor? All these questions often arise when we are searching for a good home tutor. A home tutor is a private tutor who helps students to master at academic level by providing individual guidance and proper counselling. If we think that the school education is enough and one can easily score by it, then we are making a big mistake because tough competitions, jam-packed classrooms and tougher tests have created pressure on students to perform and hence, there is a need for one on one tutoring. Due to the competitive environment in studies along with other curricular activities, it is necessary to have a good foundation and better concepts even at the early standards in schools and later in colleges. A private tutor performs a good role at this point. There are other issues like: ●	Too many Students causes distractions in the class: A class of sixty cause noise and one cannot really pay attention, or the teacher can’t be attentive to every individual student in the class. ●	Lacking prerequisite skills: Some student may lack pre-requisite or Q-skills which is necessary to learn the concepts. ●	Lack of motivation: deficiency of motivation for achieving goals or even to set higher goals. ●	School teaching is not effective, or the way of teaching is tough: Teachers are absent or not teaching as desired. Sometimes the way of teaching is tougher. ●	Distraction due to social media: The major issue to which all the students are suffering which happens due to lack of attention of parents or lack of motivation. ●	Distraction due to family problems or stress: some students have family issues while some are battling with stress. ●	Difficulty in language: Students face problems when their native language or mother tongue is different, and the teachers in schools or colleges teach in other languages. There occur the issues of understanding the syllabus. To solve all these issues and make a vast difference in any student’s overall progress by encouraging him/her to achieve more than just passing grades; home tutor is a must! Grasping the subject: Home tutoring enables a lesson to be catered to a student’s learning style. Some students need diagrams and charts to understand the concepts while others need repetition to help them retain the information. Some students are benefited with more example problems and asking the questions during practice. Home tutoring really assists a student to grasp the subject in a way that is most beneficial to them. Independent: If a student undergoes changes like; shifting of school, going primary school to high school, changing of teachers etc. ; then that can become devastating at times. Home tutoring takes care of student by proper time management while understanding new responsibilities. A private tutor ensures that the child does not have to depend on anyone either for homework or a test. Improved academics: The home tutor provides shortcuts and tricks with easy methods and examples for better concepts. Creating a medium which is comfortable for asking doubts and clearing with more natural examples can help a lot in improving annually. With the help of Motivation, guidelines, adequate revisions and tests a student can surely improve his academic performance. Morale Booster: A private tutor conducts tests on a regular basis which helps a student to overcome the fear of exam and which relieves him from the before-exam-anxiety. The home tutor provides shortcuts and tricks for proper preparation before the exam. Taking exams after appropriate preparation and scoring good marks improves the morale of the student. Lastly, a home tutor really knows his students. What are their weak spots, their interest, strengths and events going in their lives, because all these affect their academics, their aspirations, other stresses they are dealing with and who they are outside their classrooms can be known by only a home tutor. And hence, it is very much important to choose an effective home tutor in Ahmadabad. More and More Interaction should be done between private tutor and the student so that the private tutor can know about the barriers faced by a student. Students’ weak areas are recognized by the tutor and special attention is given to them. To encourage the student to find answers in his own way and help him remembering tough formulas with simple tricks. Develop interest towards the subject besides enhancing other skills of the student. Private tuition teacher shouldn’t only be focusing on the homework of a particular subject but he should also give importance to the other skills of a student like craft, dance etc. No burden of tuition homework or test should be given. After attending school and completing projects of the school there is hardly any time left for a student so that time must be given for the relaxation. Feedbacks should regularly be given to the parents regarding student’s performance. Daily tests should be conducted after the teaching session so the improvement of a student is determined. Teaching pace should be altered according to the grasping speed of the student. So if the student is lagging by the portion running in the school, can easily cover with the private tuition. Home Tutor must alter his teaching style in accordance. Cause some students are better at understanding things by visual representation while some students need practice. Comfortable learning environment is to be created so a student can ask questions easily and that would determine his level of understanding. Building better foundation and clear concepts: If better learning skills are acquired in early stages of schooling, then it will add an upper hand to the student's entire schooling structure. It often happens that we have to ask help from a neighbour or a friend for the derivation of a single equation that is derived by simple concepts. Sometimes an entire chapter can’t be understood if the concepts of that chapter are not clear and that results in bad academics. All these cavities of a school system can simply be filled by a home tutor. Convenience at its best: Some family functions or immediate plans can interrupt the daily schedule. At these times you can easily adjust your timings with the private tuition teacher and shift your early afternoon class to your late afternoon class. If you’re heading for a week’s holiday, then the portion covered in that week can also be shifted in next week by increasing duration of the sessions. Limited hours of teaching: Exhaustion due to 7-8 hours of duration in school can confuse topics and lessons which can be solved by 2-3 hours of private tutoring at home. 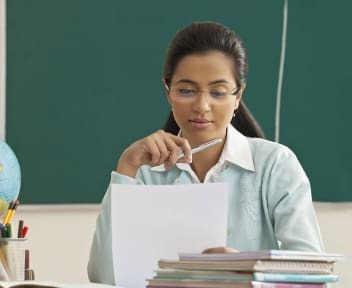 Covering syllabus: Being absent in school just for a day and not understanding anything in the next class when you resume can generally be covered with private tutors. A private tutor not only teaches the syllabus before the exams but gives you practice and revise it again and again until you are thorough with that topic. Developing interest and motivating: Not studying the subject due to least interest affects the student's annual result. Some students find history very boring while some find mathematical physics problems way too tough. Thus, they never read these subjects until exams, and that decrease their overall percentage. Developing interest in a particular subject to even motivating them towards learning is done by a private instructor very easily. Solve quarries and identify the weak spots: A private tutor makes sure that a student is getting proper attention in the areas that require major attention and address any special needs. Moreover, a student can ask the same question without hesitation more than once. Some students feel embarrassment in asking questions in front of the entire class so they can ask their home tutor. Easy methods of learning: Some students are visual learners and often face trouble understanding the technique of a school teacher. These students need a help of a home tutor who provides graphical representation or flowchart. Also, Objectives and goals can be set which helps in oral capacity to recite in class with the flourishing ability to think more and motivate students for taking tests. Encourage self-esteem and guiding through situations: Free from the regulations of the school, teaching in private can create a safe medium so a student can freely discuss the issues which help the student to enhance his skill as well as boosting self-esteem. Be it recommending books or giving advice, vitalizing interest in learning, making tough problems a piece of cake, A home tutor is the one who knows the weaknesses and strengths of a student which helps in analyzing the overall development of a student. Besides, home tutor enriches existing skills, helps in continuity and flow of education, homework is done regularly, follow-up on the class teachings are taken periodically and many more. So if a student is consistently falling behind in grades, then it is time to hire a home tutor in Ahmadabad. private tutoring also helps in booking seats in the best universities as well as cracking entrance exams like GMAT, JEE, GATE. There are students who have quarries and cannot ask in front of the whole class, and so their questions remain unanswered; this directly affects the concepts, sometimes that develops disliking towards that subject too. A private tutor may come to rescue to avoid such problems. Scopes of finding a home tutor: It is a duty of a parent to understand the requirements of a child. Sometimes a child needs just some motivation while the other times, intensive care is required. We've to look out whether a child needs help in a single subject or needs help in more than one, whether a child is weak in language and needs an English tutor or needs more illustration practice from a math tuition teacher, or if a child needs a nurturing teacher or a firm hand. Based on all these, the purpose of hiring a tutor is determined. Different alternatives: There are many alternatives to hire a private tutor. Often the best way to find a tutor is the personal recommendation of someone you know. Or to take help from the school teachers as well. If not by these platforms, another reliable online options is URBAN CLAP. It gives the flexibility to fit around your routine. Searching online can also help to compare more than one tutor at a time. Budget: Sharing a tutor between friends reduces the cost but also demolishes the main advantage of private tutoring, namely one-on-one attention. Even when you share a tutor, time of the session must be set considering everyone’s schedule which leads to fixing timings. Sometimes learning method and learning pace of both the children are different which creates difficulties. So, it is essential to consider money before hiring a tutor, but the values, the teaching process, and the student's needs should not be affected. Shortlist home tutors in your area meeting your requirements: The most important factor is whether the private tutor can develop a rapport with the student. A harmonious relationship must be established between tutor and the student so that the student can share his issues. It is a must that the skills of the private tutor match the requirement of your child. After evaluating (qualification, experience and method of teaching) shortlist some tutors from the large range of choices. Best tutor meeting your requirements which fits your schedule should be chosen. Monitoring progress: Chosen tutor must be interviewed first by the parents, wages are discussed, and a background check should be done before hiring a tutor. It is also very important to observe the progress of a child by joining session every now and then. If the child is not opening up with the tutor or not comfortable with the tutor’s teaching method then home tutoring is of no use. Review and progress of the child should also be taken and swap with another tutor if necessary. Abilities: A home tutor should be able to identify why a student can’t perform well in the academics. Whether he lacks with confidence or he needs more motivation, whether he needs practice or the concepts are not clear, whether his doubts are in vague or he can’t perform due to exam-fear. After identifying the reason, a solution is provided like, solving doubts, giving proper examples and practice, taking tests periodically, providing tricks to remember formulas or adequate preparations are done before the exam for abolishing exam-fear. Experience: Securing top grades and grab a seat at a good university is much more crucial than in the past as the competition is increasing day by day. Home tutoring is also critical for the students who feel embarrassment in asking questions in the class and scare to answer in front of his classmates. These students need a confidence boost from a private tutor. Tutors having more experience can better understand the special needs and can solve it satisfactorily. Communication and feedbacks: To keep up with the competition and other activities, only school education is not enough. There are students who are doing well but perhaps want extra help preparing for exams. This additional help can be provided by regular tests, and the graph of performance is recorded by a private tutor. A tutor should then study about the weak spots of a student and should communicate with parents about it. A private tutor should make a record of the student’s performance and give feedback to the parents regularly. Cost: Hiring a private tutor and taking regular sessions maintain momentum. private tutors can schedule their sessions according to the requirement of the student. Different home tutors cost differently depending on the experience and sessions per week. Cost is an important factor, but the real deal should be values obtained instead of the money involved. There is a vast difference between what a student gets out of an ordinary school education and how a student benefits from a home tutoring sessions. So it is extremely important to hire a home tutor in Ahmadabad. UrbanClap is one of the most trustworthy companies in India, and the satisfaction of customers is of paramount interest. UrbanClap has a vast network including professionals in all the major cities like Bangalore, Chennai, Mumbai. UrbanClap dispatches qualified tutors directly to you. You don’t need to drive anywhere. Before associating a tutor, a detailed background check is done by UrbanClap whether they are qualified enough and valid for recruiting. Only experienced tutors are hired, and full responsibilities are taken for providing the services. UrbanClap ensures that your child is getting help in those areas that need the most attention at affordable rates. All the possible details are provided for the tutors near you. UrbanClap makes sure that your child gets an individualized program and not a predetermined one. UrbanClap provides superior Quality and there are often attractive deals and packages. Step 1: There are multiple ways by which you can reach us. Either you can visit our website, i.e. www.urbanclap.com or you can download our mobile application named UrbanClap from Google play as well as the app store. Step 2: After entering your city you can search for ‘Home tutors’ or ‘tutor at home’ in the search bar and select the option according to your need. We will help you find the home tutors near you. Step 3: A pop-up box asking you some questions will appear which will shortlist tutors according to your class, subject and board of the school. Also, you can choose a date and time for a trial session according to your schedule with selecting your approximate budget per session. Step 4: If you’re having any special requirements like language reference, the background of the tutor or even experience of a tutor then you can mention it in the box. Step 5: You can then enter your personal details and share your address or let GPS locate it so that our experts can reach to you. And, you’re done with the entire tutor selecting process. A good Home tutor inspires hope, ignite the imagination and instil a love of learning. Select a tutor from UrbanClap and Have a great experience. . If you are in urgent need of a private tutor, new in the city, want to compare many tutors in a short span of time and still need a trustworthy private tutor that satisfy all the requirements of your child, then URBAN CLAP is the site where you can find the best tutors of Ahmadabad. An excellent home tutor must be able to place himself in the place of those who find learning hard. It often happens that we buy or hire due to the recommendation of someone we know, but not in the case of tutors cause just because a tutor has worked wonders with a friend’s offspring does not mean they will be able to do the same for yours. Thus, when you have multiple options for choosing a tutor from various sites as well as offline, then it is beneficial to weigh pros of hiring tutor from UrbanClap with each of them.